As a Corvette owner, you own a engineering marvel, an all-American classic, a nationwide legend. One of the most important parts of your treasured ride is its lighting system. Every time you head out on darkened roads, you depend on your lighting system to lead the way into the night. However, as lighting technology improves, standard car options fall short of current trends. When the day comes that you want better lighting for your Corvette C5 or C6, turn to the specialists at corvettemods.com. At corvettemods.com, we provide replacement lighting for all your Corvette lighting needs. These upgraded lighting systems can improve your visibility in fog, snow, darkness, or rain while accentuating the stellar looks of your Corvette. Corvettemods.com stocks HID and LED lighting systems to replace traditional incandescent lighting in your Corvette C5 or C6. 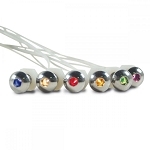 Although diverse in application and operation, both lighting sources provide advantages. LED lights have gained great popularity in the automotive world due to their longevity, low energy usage, intense light, and minimal size. 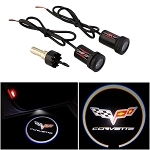 Corvettemods.com provides a wide range of LED lighting to customize your ride. From LED taillights and reverse lights to mirror turn signals and interior lighting, you can find LED replacements for all of your stock lighting at corvettemods.com. HID lights, which share a relationship with halogen lights, are a great replacement to traditional headlights, fog lamps, and high beams. 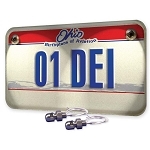 HID lighting provides a sharper, more focused light that gives great visibility on dark roads and in rain or fog. Corvettemods.com stocks HID headlamps and high-beams, HID reverse lights, and HID fog lights. These HID lights will improve your field of vision in low-light environments and make your ride more enjoyable no matter the conditions. 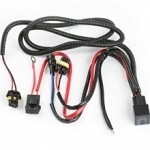 In addition to our individual lighting products, at corvettemods.com, we stock lighting wire harnesses, resistors, and full lighting kits. No matter whether you drive a Corvette C5 or C6, corvettemods.com is your source for quality replacement lighting. Not only will these aftermarket lights improve your visibility, but they will also ensure that your Corvette remains America’s homegrown supercar.